Hacking the future of TV! 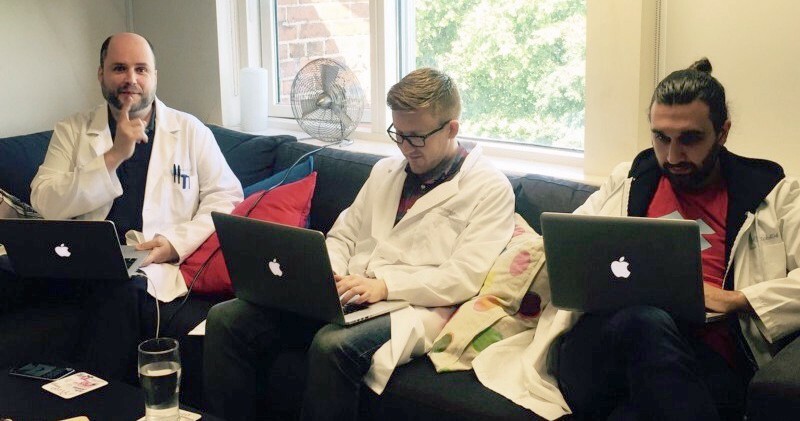 Ever wondered about Axonista’s Lab days and what happens when we don our lab coats to hack the future of TV? 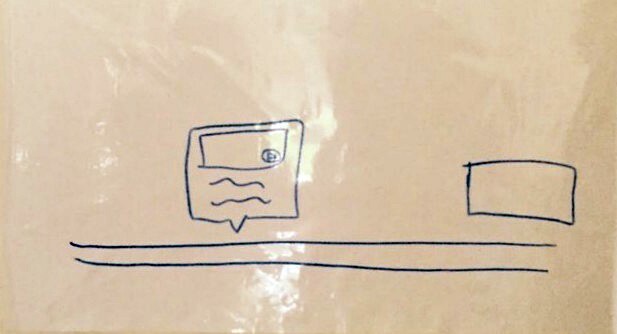 In this post, Jenny O’Keeffe, Axonista’s wonderful Team Assistant, and one of the newest members of the team, reports on her first lab day experience. 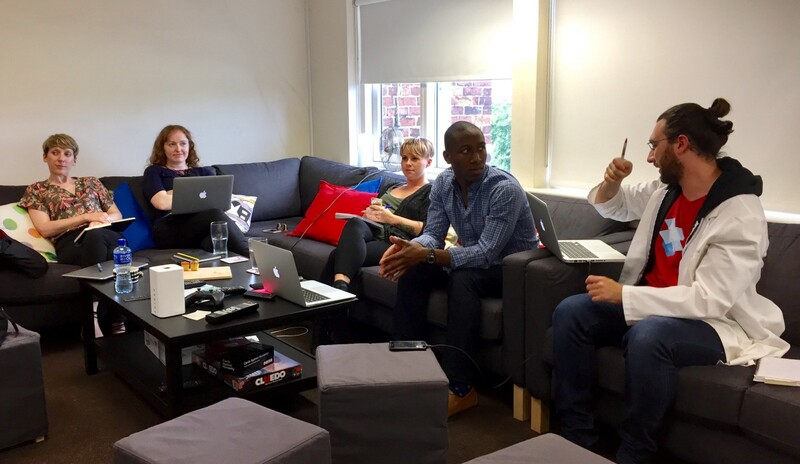 It was an exciting day as we embarked on another of our much loved Lab Days here at Axonista HQ. 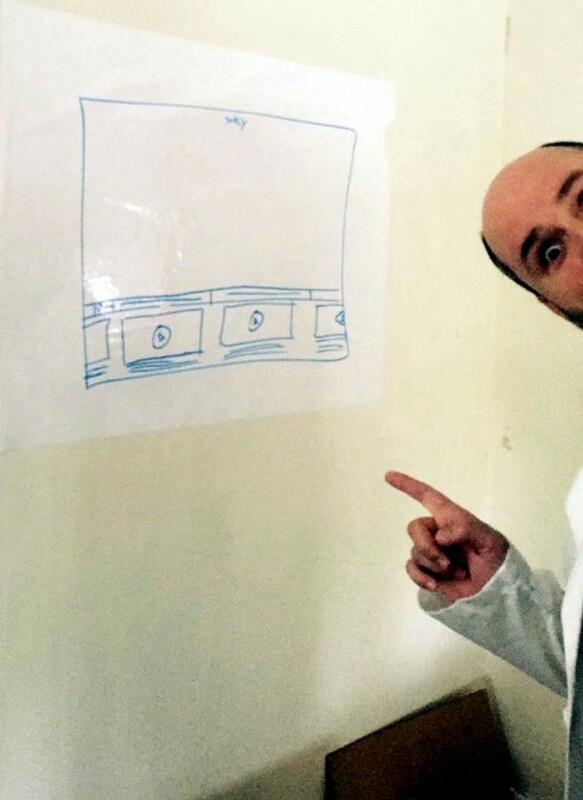 For those new to the idea, Lab Days are an opportunity for the whole team to take some time out of our normal work schedule to delve a bit deeper into some of the crazy, more out there ideas that come to us in the dead of night (or after a drink or two), and see if actually we may just be on to something awesome. Three lab projects in one day… We don’t do anything by halves do we??? Don’t tell me you’re not excited to see how this goes! Take the sideways scrolling ticker concept that’s been around forever on TV news, and make it interactive for users watching the news on touch devices. Create a native video overlay that fits in the same place as the baked-in ticker that we are all familiar with and that looks just like it. Use the device’s touch capability to make our overlay interactive, allowing users to drag it left and right so that, if they miss a story, they can rewind the ticker and see it — we’ve always wanted to be able to do that! 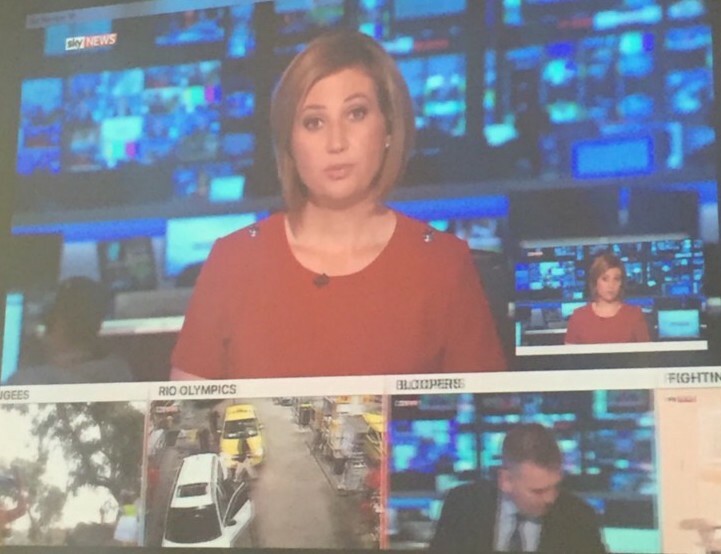 The stories in the ticker should be tappable to bring up a video thumbnail and allow the user to jump to that story, while minimising (and muting) the live news feed into a small window. Modern intuition tells us that tickers are interface elements and should be interactive — so let’s make it interactive! Planning Starts with a look at the current ticker design and some brainstorming to decide how we can alter the current design of the ticker so that the view is still familiar to the user, while also the experience is enhanced with interactivity. 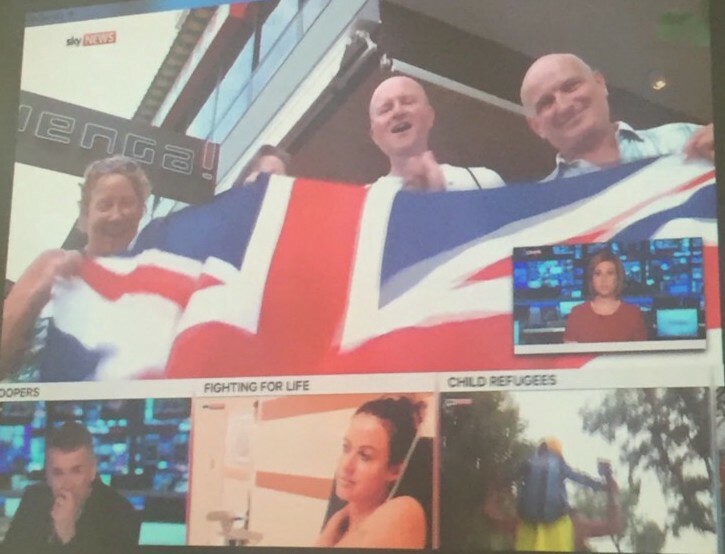 Prior to the experiment Daragh recorded 30 mins of content from Sky News so we could use some of the video clips to demonstrate how the ticker would work. The content team along with Eli our lovely intern and video editor, got to work chopping the video to make clips of each story to correspond with the scrolling stories on the interactive ticker. And Andrew got to work on the iOS build to incorporate all the functions. Create a simple tool that could generate static and motion thumbnails for videos. Research and unearth any snags with the process, and incorporate the best version of this into Ediflo so that we can have awesome video thumbnails in our apps. After a quick huddle, the guys split off into 3 areas: Design, front-end and back-end and set about creating the tool. 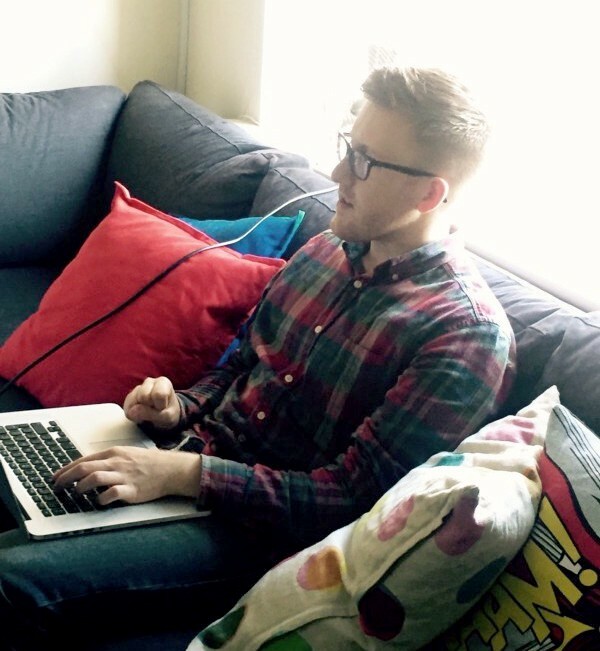 *Shout out to our very dedicated team here… Colin is currently on holidays in Budapest and ducked into an internet cafe for the day to take part (his poor girlfriend), Luke is at home recovering from minor surgery and well Kristijan joins us all the way from Croatia where he works remotely! I leave them to their devices* while I catch up on the next project! 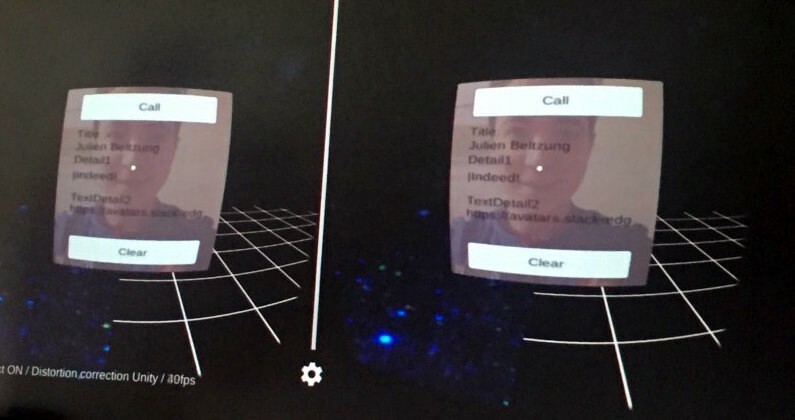 The aim is to display an Ediflo-powered message in a 3D VR environment and update it dynamically. Initiate the Ediflo message using Slack and use a 360º video for the 3D environment. *As if displaying an Ediflo-powered message in a VR environment wasn’t enough, also have it hooked up to come from Slack — srsly? The Guys have a very covert operation going on and have declined to release their methods…. Interesting…. Verrrry Interesting! All I can reveal is that the coats are on and they are getting down to business! Team Newsflash produced a very slick looking app as promised… you will see from the clips below that they succeeded in creating an interactive ticker with tappable links which will bring you to your desired news clip once selected from the clip preview which appears at the bottom of the screen. Team Marvin brought a very impressive thumbnail creator to the table enabling the user to create both static and motion thumbnails in a few simple steps. As the team had previously planned, the clip selector works on a slide-bar which can be adjusted from the in and out point, and can slide along the clip allowing the user to caption their desired clip with ease and precision… Nice work team! Team Romoco-360 had a tough job on their hands, but they pulled it off. They successfully managed to deliver messages from Slack into the 3D environment as they were generated. 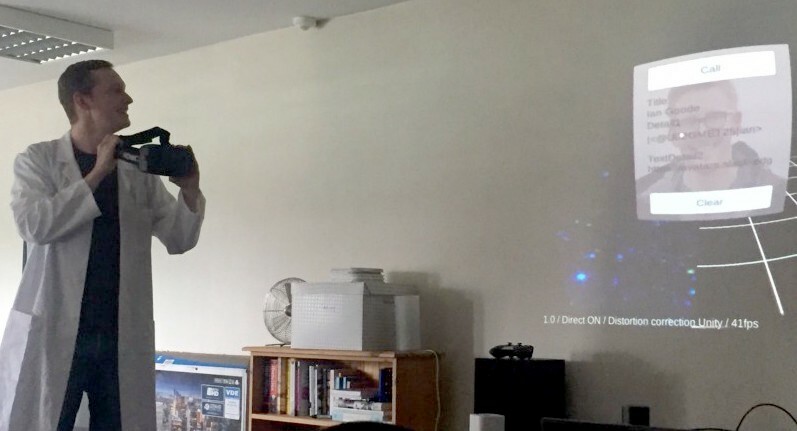 They also incorporated a video into the 3D environment which the messages from Slack overlaid… The environment was part-starfield, part-holodeck-grid to demonstrate a really immersive 3D space — an awesome effect, if a little disconcerting since when wearing the headset, some of us felt like we might fall off the deck and float off into space! 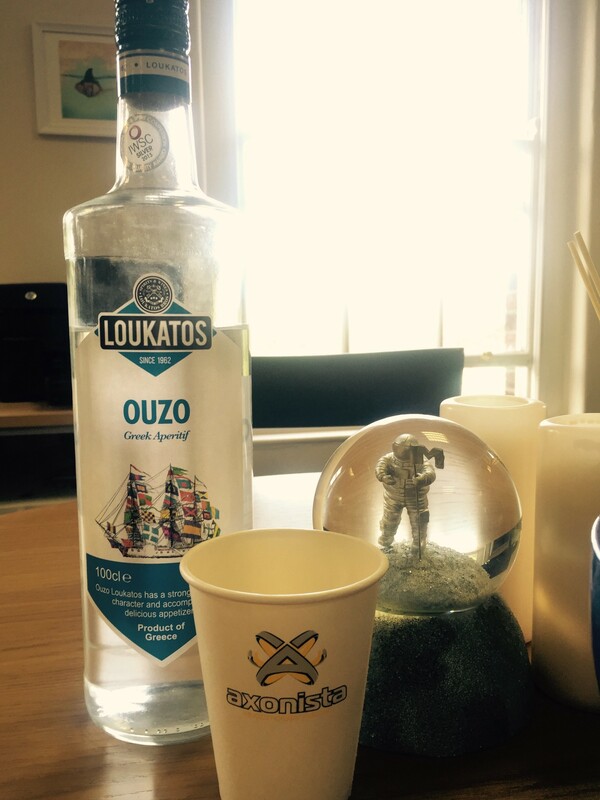 Epicness was created in vast quantities on this Lab Day… so to reward ourselves we settled on opening the bottle of Ouzo gifted to us by the lovely Francesco after a recent trip to Greece, and of course what else would we drink it from other than our very snazzy Axonista branded coffee cups… our class knows no bounds… Cheers! There was a huge effort put in by everyone on the day, and in the end we came away with the starting points of some great features that will eventually be incorporated into the production version of Ediflo. Watch this space party people… ideas for the next Lab Day are already forming! If, after reading this, you’ve been inspired and have an idea for our next Lab Day, please do let us know in the comments… we might even include you on one of the teams!